Lela White is a woman on a mission: sleep-lab tech by day, savior of the United States space program by night. Outwardly she appears a normal, if standoffish sleep tech and library volunteer. Inside she’s a hot mess of paranoia and madness. When Lela meets cosmonaut Zory Korchagin—on loan to America from the Russian space program—he expresses romantic interest in her. She seizes the opportunity to be able to get close to him and watch him sleep without having to sneak around. As she and Zory become closer, he tells her a small detail about the space program that lets loose her insanity and throws her into a tailspin. Lela’s madness jumps off the page, whether she’s going about mundane tasks, considering the best way to murder her pseudo-roommate Trina, or communicating telepathically with her talking cat. At no point can Lela be natural. Each thought and action is considered from every angle—hers and everyone else’s. She is in a constant state of battle with her own mind and with those around her, whether they know it or not. Oddly, even after Lela performs some horrific acts, there exists some spark of sympathy for her, and a hope that she can somehow get well, or maybe get the help she needs to live a somewhat “normal” life. But as the collateral damage from her “mission” begins to mount, and the book races to a thrilling conclusion, Lela’s madness seems like an unstoppable force. 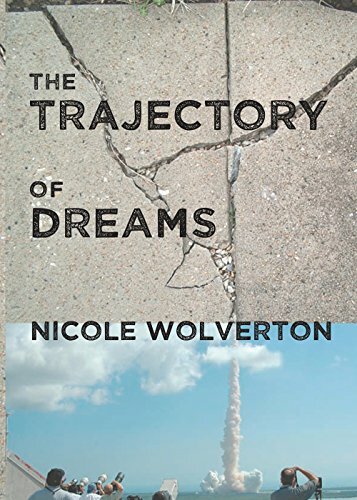 Well written and engaging, this debut novel from Nicole Wolverton takes us through the mind of a woman teetering on the edge of madness. It is at times uncomfortable, frightening, and anxiety inducing, but always entertaining. Jennifer deSylva is an aspiring author and a co-manager of The Writers' Collective, an online community offering writers, editors, and readers opportunities to work in groups critiquing manuscripts of original fiction in preparation for querying to publishers.